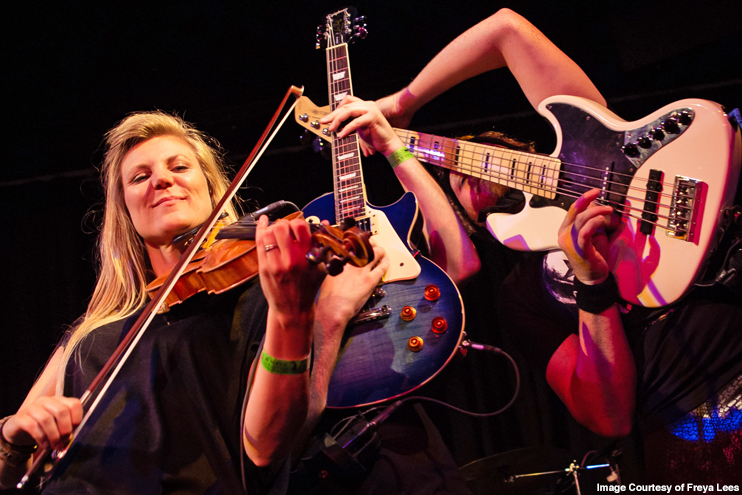 Blackbeard’s Tea Party’s bold and riotous modern folk rock is built for late nights and big stages. Traditional songs and tunes are given a heavy rock edge with earth shattering riffs, playful arrangements and driving dance rhythms. The band believe a live show should be a spectacle for the eyes as well as the ears. Formed in 2009, recent years have seen them perform at festivals as diverse as Glastonbury, Cambridge Folk Festival, Fairport’s Cropredy Convention, The Rainforest World Music Festival in Borneo and many many more.